WHILE living in the UK in the early 1980s, Bob and Rita Richter spent a lot of time exploring the wine-growing regions of Europe, and concluding that Europe's best wines were coming out of its cooler regions. So on their return to Australia at the end of 1984, and keen to get into cool climate winemaking, Bob enrolled into a winemaking course at the Roseworthy Agricultural College in 1985 – and he and Rita gave themselves a holiday to Tasmania that same year to see what was already there, and what the potential may be for their own future in the cool island State. 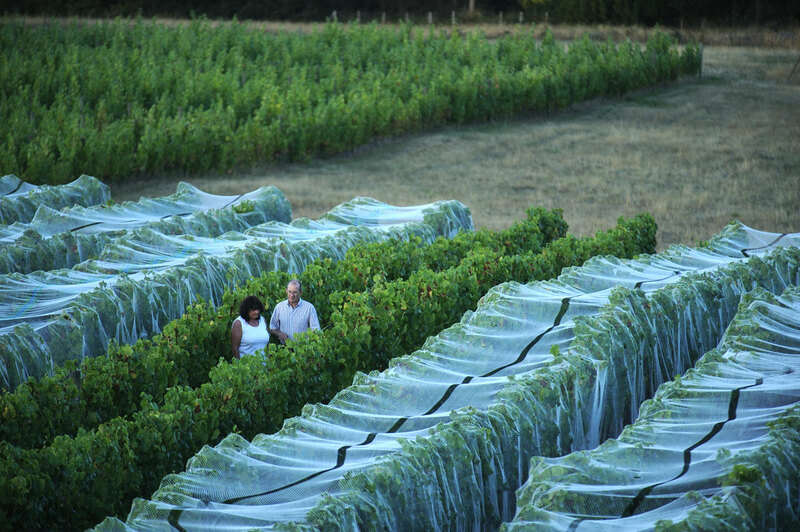 With some varieties struggling in the Tasmanian conditions the Richter's did a bit of varietal juggling, and today they've still an amazing seventeen different varieties. 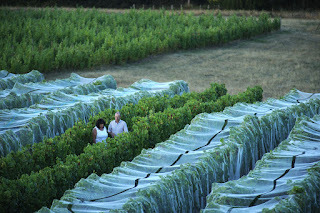 And their decision in 1987 to include Pinot Gris has proven a judicious one, for sales today of the variety are the fastest-growing of any white wine in Australia, at around a healthy 15 per cent annually. Interestingly, Pinot Gris is something of a What Is Old Is New Again as it was first planted in Australia in 1832 by James Busby in the Hunter Valley, but never really took off, probably because being a cool climate variety it ripened in the warm Hunter Valley before developing any significant flavour or aroma. But then in the 1990s when plantings began in cooler regions, it suddenly hit its straps. Bob and Rita Richter's Grey Sands 2015 Pinot Gris is a particularly inviting example of the varietal, with wonderful aromas of crystallized pineapple and custard apple, and with a lily of the valley floral lift to it. And when it comes to flavour, this one's beautifully rewarding with deep and ripe varietal fruit flavours coupled with suggestions of ginger and quince, and a long, long finish. FROM out of the cool of Tasmania, a perfect match with spicy Thai fish cakes or a green chicken curry. "Should we net these now or can they wait a bit longer?" That's the question for the Richters in their constant battle with fruit-stealing birds (mainly Silver Eyes)… they delay netting as long as possible as it reflects some of the important radiation.